This was my second year at Microsoft and instead of just doing one session at Build like I did last year, I was able to deliver two. I hope this doesn't indicate I'll have to give an additional one each year! 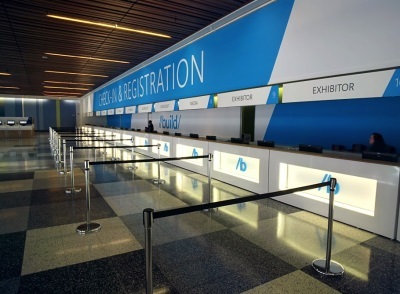 This year the conference was in San Francisco at the Moscone center. I've been to Moscone twice before to attend Google I/O but I've always been in Moscone West. Build took place in North and South which were cool to see. Build was especially awesome for me because we announced the General Availability (GA) of Windows Azure Mobile Services (something I work on quite a bit). The sessions I delivered at Build were pretty interesting. One covered the many different ways and platforms you can take advantage of Mobile Services from. The second was a Protips session which covered a lot of the things that people ask about but we generally don't dive too deep into. With less than a year having gone by since the launch of Mobile Services, the growth has been phenomenal. This was truly reflected by the amount of coverage present at Build. Mobile Services was mentioned in the day 1 keynote and demoed (by the very talented and British Josh Twist) during the day 2 keynote. While I presented two sessions on it, there were 8 sessions showcasing or mentioning Mobile Services. You can check out all of the keynotes and sessions as well as their recorded videos here. This session was a combination of "how can I build an app once and run it on all platforms AND use Mobile Services" and "let's make sure everyone knows all of the platforms supported". I demonstrated the basics of Mobile Services, but I did it by first starting with a PhoneGap app running on iOS, then with a native Android application, and finished things off by showing a MonoTouch app running on iOS (re: c# on iOS). The real problem with a session like this is that you inherently can't dive super deep into any specific area or you lose the ability to cover the rest. As it was, I finished with JUST enough time for a few questions. Despite the lack of specific depth in this session, the feedback was great. It's hard to grasp just how accessible Mobile Services is and how easy it is to use from so many different development platforms. 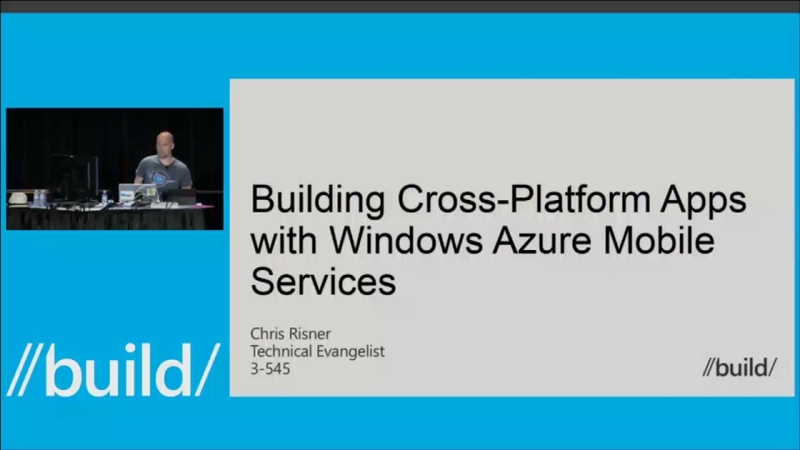 You can check out the slides from this session here. I was really excited about delivering this presentation. With Mobile Services being so new, it's hard to land a presentation where it makes sense to really dive very deep into any specific area. With the general features of Mobile Services taking an hour to go over, it doesn't really leave much time for anything else. This session was the antithesis to this. Instead of going over any of the basics, I went through dozens of different "how do I do this?" type things. All the questions we regularly get where the response is "You can do that, but it takes a bit more work" and then we don't have time to talk about, were covered in this session. 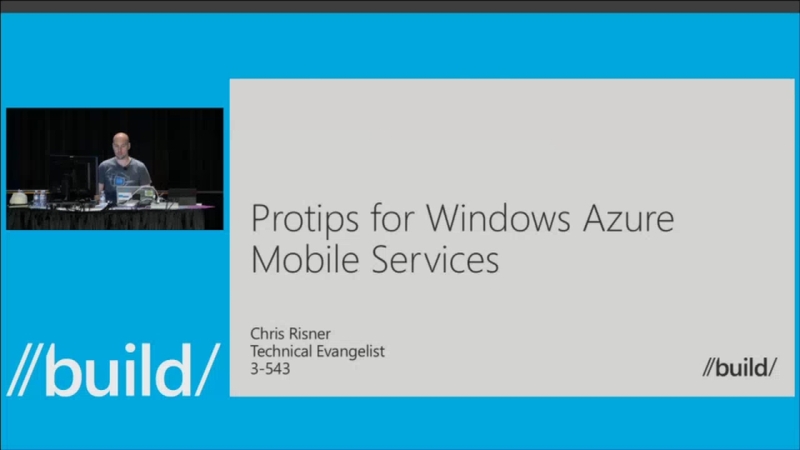 Oddly, I got feedback after the session that I should have also covered the basics of working with Mobile Services. I feel pretty strongly that if you walk into a session that starts with "Protips" you probably shouldn't expect a lot of basics. This session got a lot of great feedback (other than that) and some great questions at the end. You can check out the slides from this session here. Build was a lot of fun this year and I'm happy I was able to deliver so much (even if the sessions were back-to-back!). If you attended, either of my sessions, thank you. If not, you can watch them at your convenience now and let me know if you have any questions.